Street Art is increasingly playing a vital role in reeling out social messages. 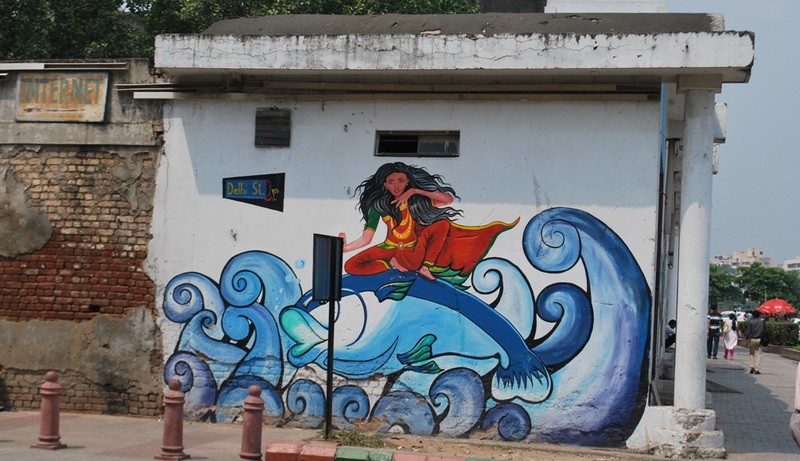 While you travel within India keep a sharp eye for Graffiti and Street Art, I would even do a Street Art Tour. 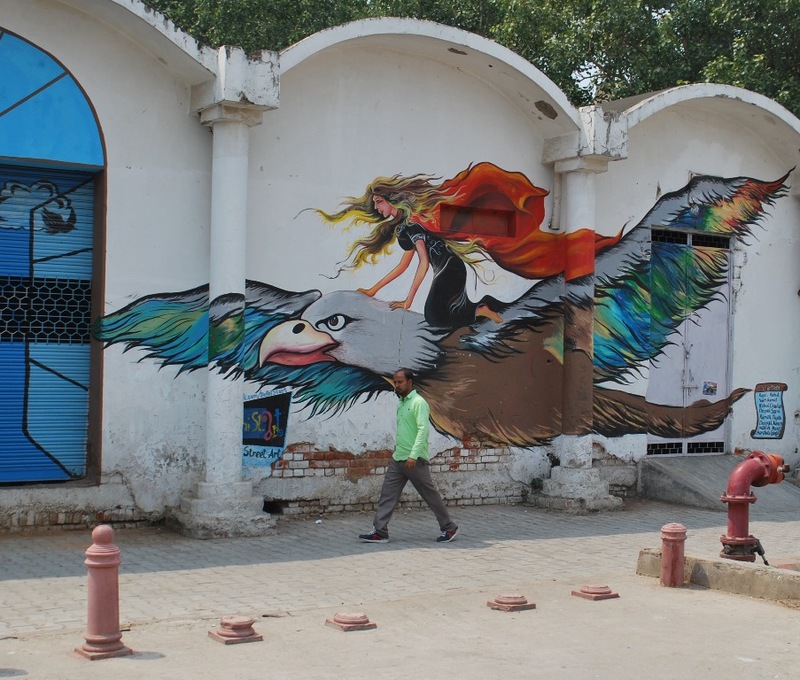 The series of artworks that follow were captured near the Middle Circle of Connaught Place in New Delhi. They reflect the ever changing landscapes, paradoxes and social reality of a metropolis weighed down by old baggage and striving to be a Smart Modern City. Women and their place in any social system is often a great indicator of the state of a society, system and civilization. This picture shows the skyscrapers in the background,youngsters leaving the metro with backpacks and in sharp contrast a semi clad vagabond on the extreme right. 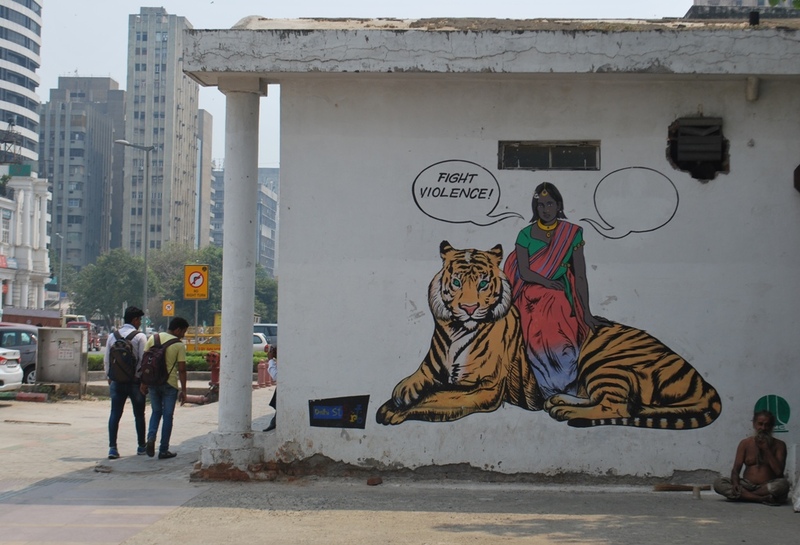 In the centre is the colourful street art of a women speaking of violence sitting on a Tiger. She represents the Women ruling the Middle World, Earth. There are many elements in this picture, so do give it more than a passing look. The following picture symbolizes that women rule the Seas as well, The Nether Worlds. Do observe the change in attire and skin colour when compared to the first picture. The body language of the Woman is noteworthy as well. The rundown brick wall and the bill board marked Internet on the left , reflect the change brought about by this Installation of Art. The last in the series is the largest and what caught my eye first in the short walk from the Metro Station to Cha bar. Here the Woman Ruler of The Skies is represented by a Thumbelina look alike Girl . She soars above a passerby on an Eagle with quite an EYE. Do comment and share your thoughts. It could be the Forum of am interesting debate. As I began blogging , I had never imagined i would share a section on paintings and artworks. Am into chapter two and have still not reached the BANDAVGARH TIGER RESERVE. So many stories to tell…. However Nature and ‘The Almighty’ have their own ways. 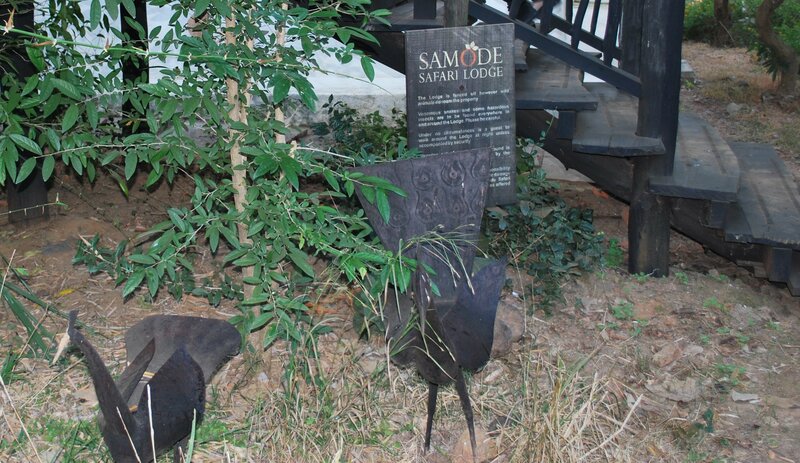 All the paintings depicted are photographs taken at the Samode Safari Lodge . I hope they are still there. Am sharing them with you as they reveal stories of wildlife and nature in flamboyant colour and incredible detail. They depict the story of INCREDIBLE INDIA perfectly. 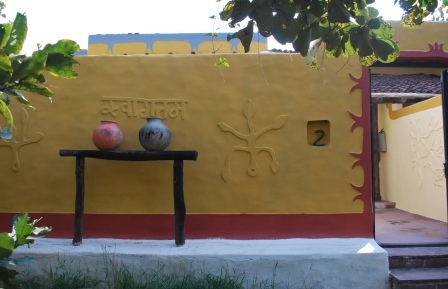 The wall paintings are done by “GOND” aritsts , ( tribals from Central India who inhabit forests ) and have a unique and discernible style .Do you recognize it? The three that follow are fabulous wall paintings I spotted in the washroom of our cottage suite . 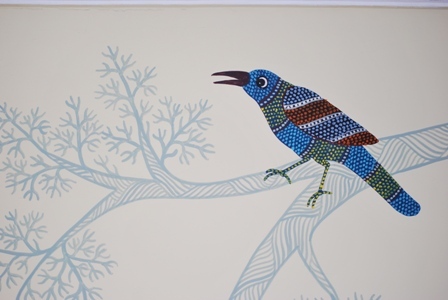 The main theme of the “GOND” artists are the flora and fauna of the forests they inhabit. Hence very dear to me. 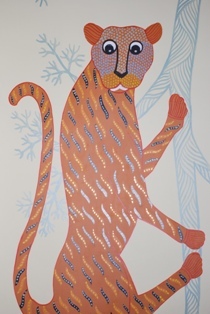 Do see the featured image of about 30 paintings each depicting the fauna of the forests of the area. The other artist I discovered , was at the Spa of the Lodge. 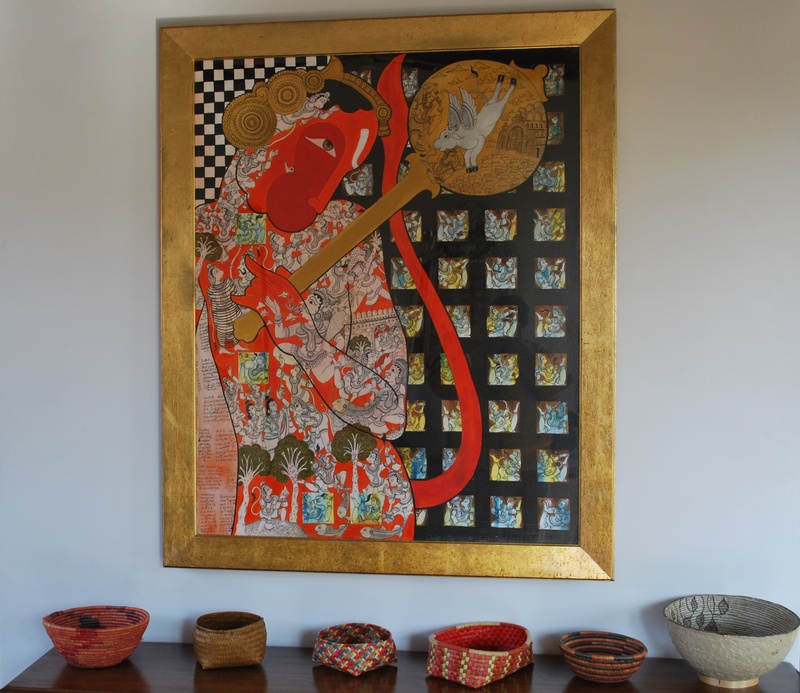 A gorgeous painting of Lord Hanuman ( the monkey God ) adorns the wall at the entrance to the spa. If you wish to see more details can email pictures with a high resolution as well. Do ask. The beautiful baskets on the table are made by village folk and collected from different parts of the country. The artist is from the South of India and depicts stories of Hindu mythology. I had seen some of his spectacular paintings in Delhi and thus recognized his unique signature. 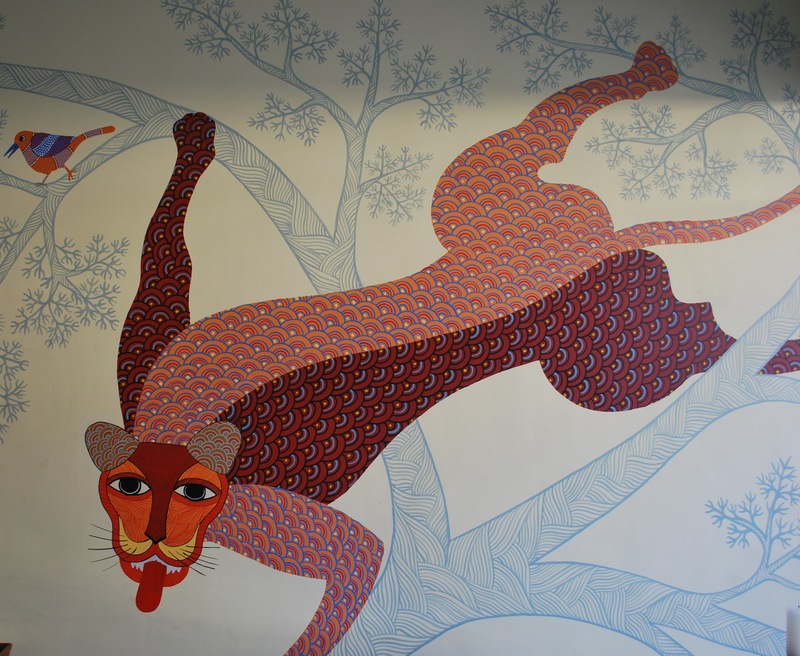 The details in the paintings unveil stories from the Ramayan ( an epic) related to magical beings which inhabit the oceans , fruit bearing trees and life restoring plants . Followers of movies like Harry Potter and AVATAR will relate immediately to these magical creatures and plants. Thus when you travel with me, not only will you see the unusual but will also be enthralled with stories from Ancient India . 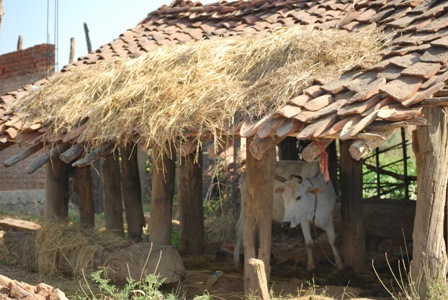 Umaria is a tiny sleepy village town in the state of Madhya Pradesh,India. 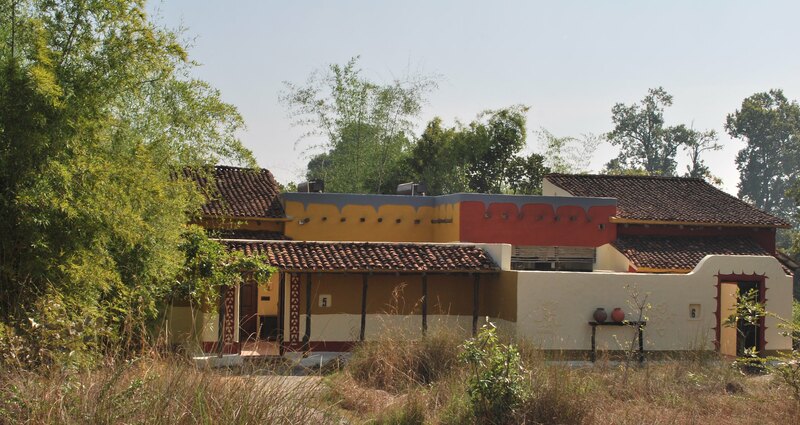 Its claim to fame ; it’s the nearest railway station to the famous Bandhavgarh Tiger Reserve. 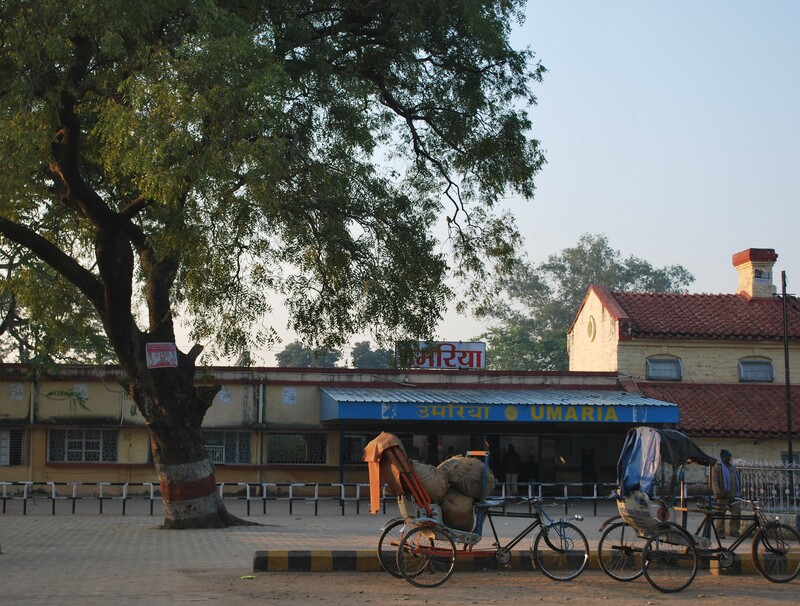 An overnight train from New Delhi takes you directly to Umaria. The train stops only for a few minutes only so be sure to get off. 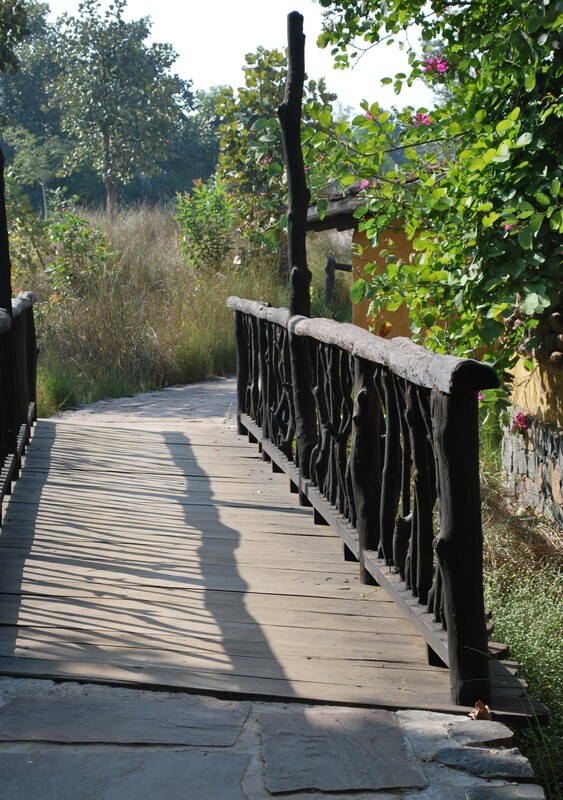 Our destination is the SAMODE SAFARI LODGE which is a gorgeous stand alone property in the buffer zone of the forest. 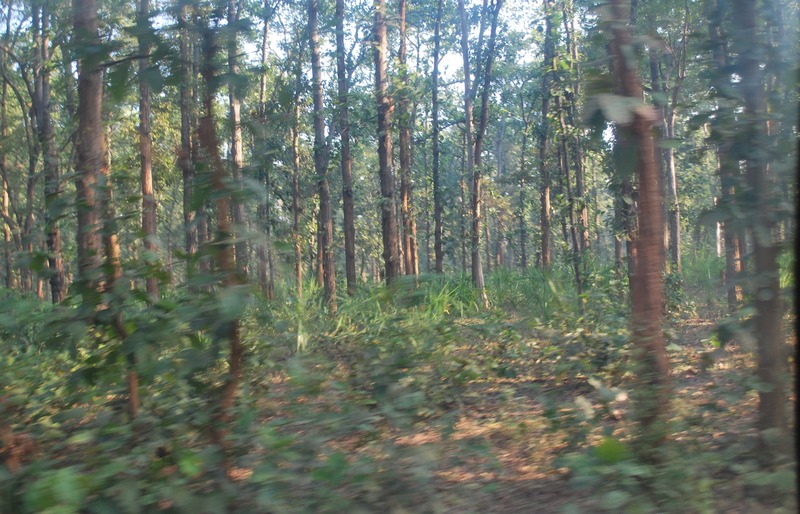 Do tell the driver to drive slowly as a forest can give you glimpses of its treasures anytime anywhere. I would recommend a romantic getaway to this ultra luxurious quiet and peaceful lodge in the midst of a jungle even if you are not a wildlife enthusiast.. The entire premises are beautifully merged into the surroundings and the construction is inspired in large measure by the neighboring village. No manicured gardens, all are permitted to wander without restraint. There is total Freedom. 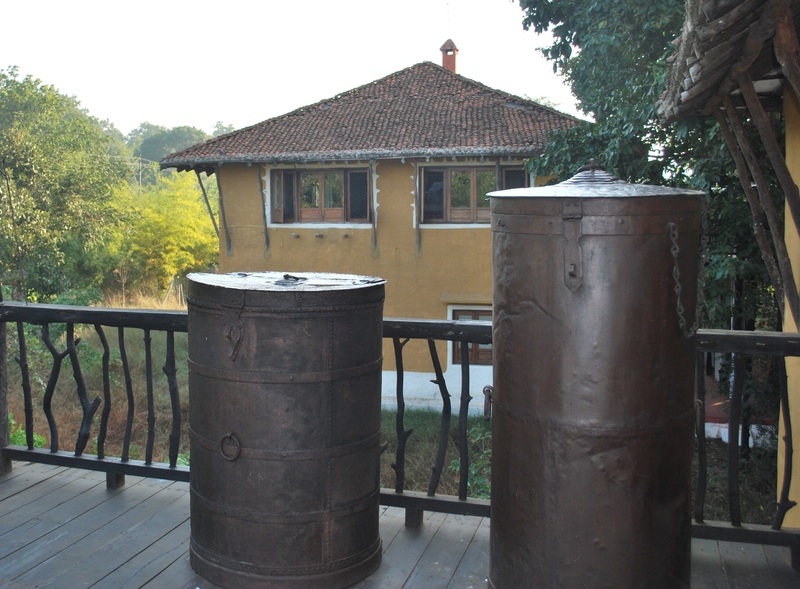 The large metal containers are used to store grains. 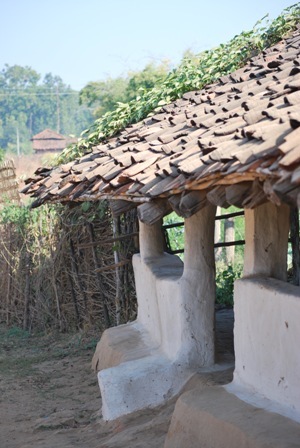 A short walk and we see glimpses of the charming mud cottages ( suites) assigned to us. Each cottage ( suite) has a unique private entrance modeled after a home in the village next door. The cottages are the ultimate in Luxury. The artifacts and furniture are very carefully selected and i shall write on them in chapter two of this article.So follow my blogs to be updated. 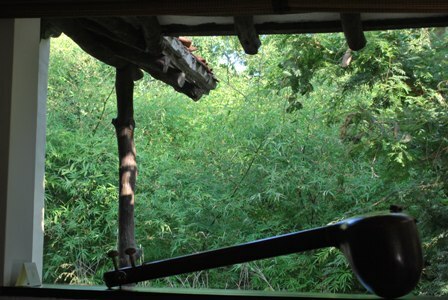 For now i stick to three topics: Luxury: Village & the Tropic of Cancer. 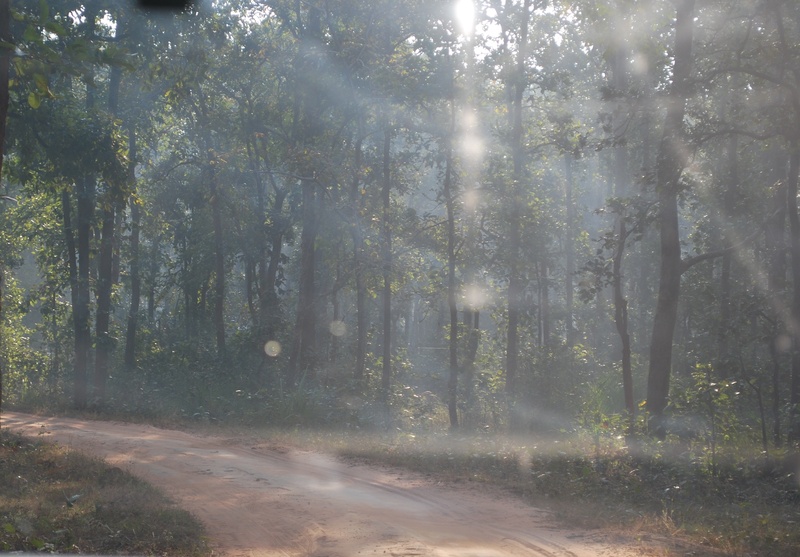 Utter bliss: what can be better than a sun-downer, a book and the fabulous forest that envelopes you. 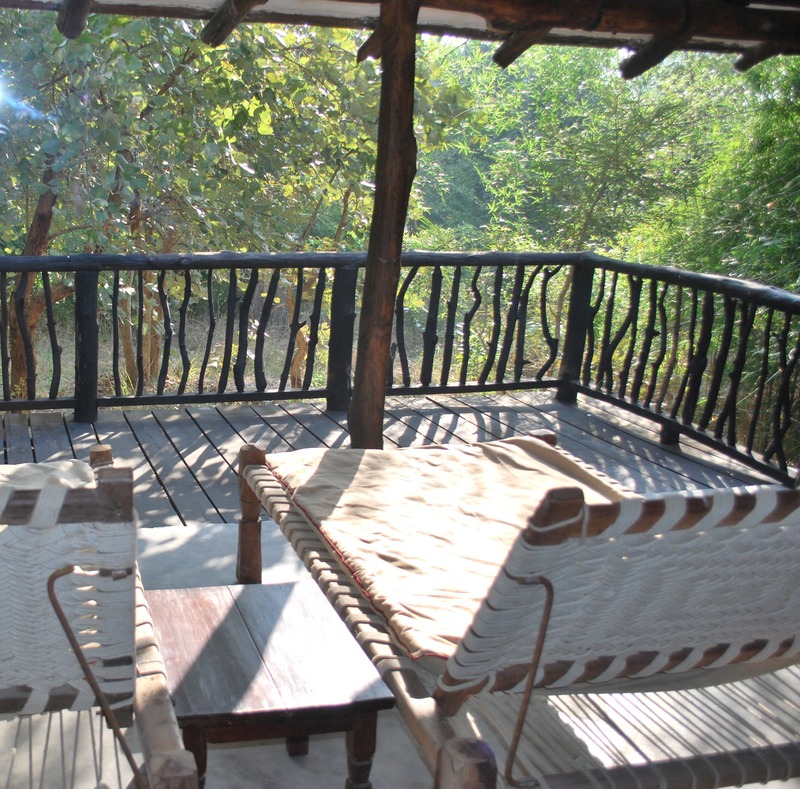 As i dream of the lovely Samode safari Lodge while i write ,I do realize I will be compelled to add a Chapter two as well . 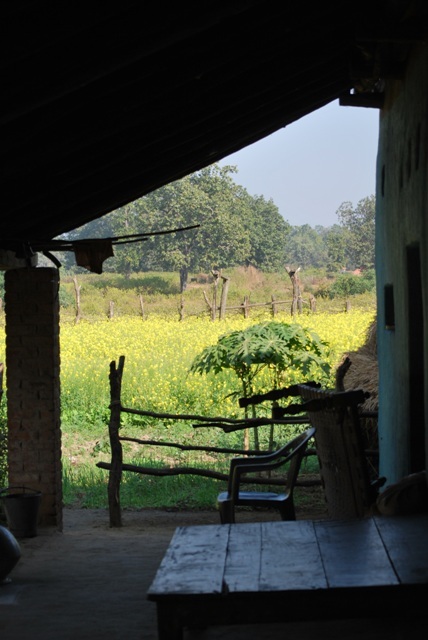 So lets get out of these luxurious rooms and go for a walk to the neighbouring village to see the life of an Indian village on the fringes of a Tiger Reserve. Do compare the pictures to those posted above. A terracotta tiled roof cottage in the village. The verandah of this cottage is so similar to the luxury resort. Do keep a watch out for more stories on this amazing destination in the days to follow. 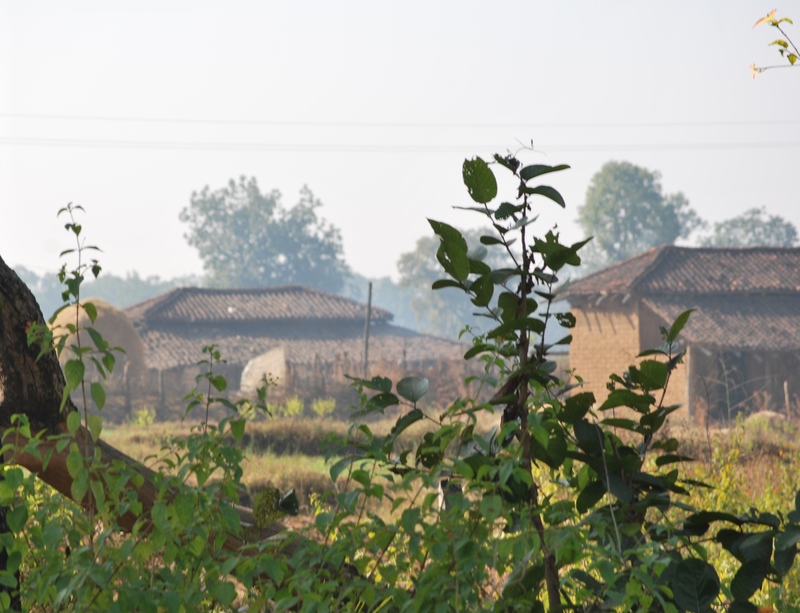 Umaria is also known for an important key geographical feature. 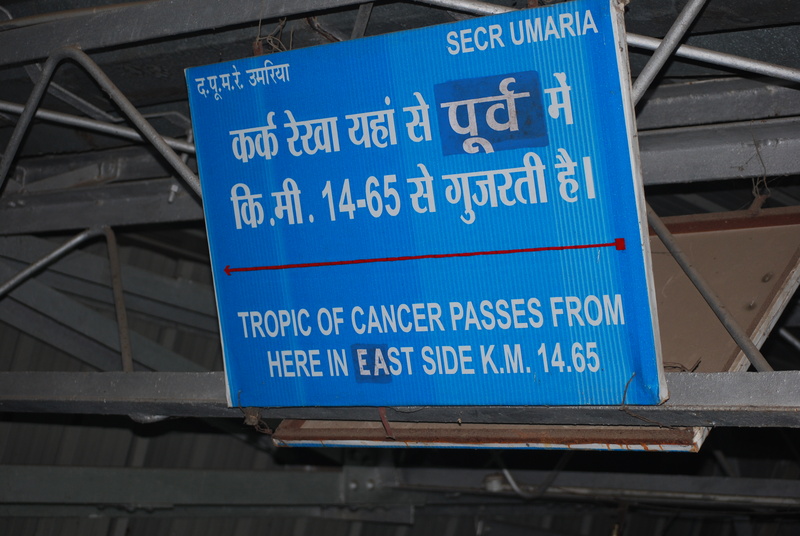 The TROPIC OF CANCER, passes through the eco-friendly village ,Samode Safari Lodge and the sleepy town UMARIA. Dedicated to Charlie my geography teacher in school. The black line on the maps in geography classes in school had suddenly sprung to life.